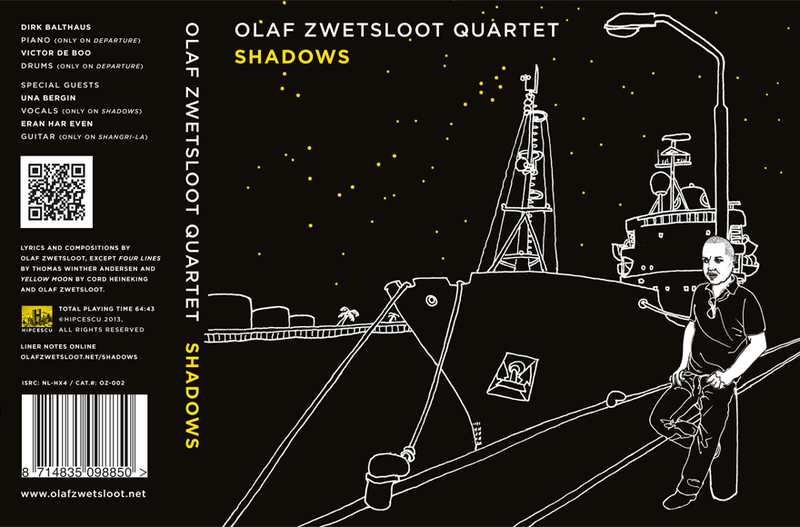 Shadows is the result of a three-year collaboration between three generations of musicians, aged 25 to 78, from The Netherlands, Norway and the US. No, wait, it actually took a lot more than three years… According to Chinese wisdom, it takes a lifetime of experience to put one particular stroke of paint on a canvas. Being self-taught, both as a composer and improviser, I have an inkling of the painstaking effort involved in producing that one stroke. I’m still busy preparing for it. 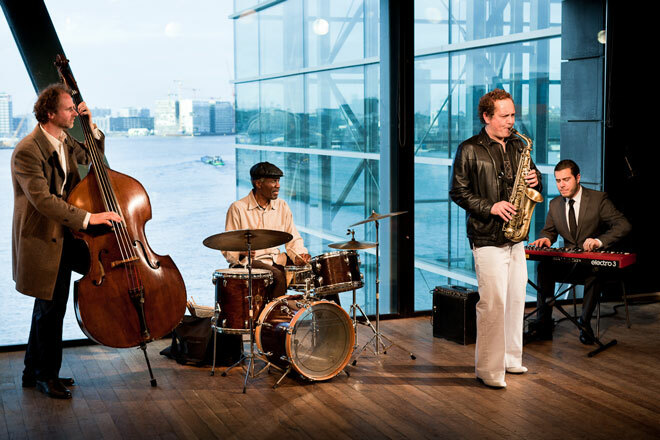 As to the trans-generational nature of this group: Clarence Becton was born in Mississippi in 1933, fifty-four years before Timothy Segond von Banchet, our youngest band member, took his first breath of Dutch air. 1933, the year in which Hitler became Chancellor of Germany. And although Mississippi was no Third Reich, it was still the Deep South of pre-civil rights America: racist and brutal. No safe place for an African American. I’ve come to see Clarence as a rare (jazz) messenger from another era. A survivor who carries a bygone, tacit world inside – old traditions, faces lost in time, tunes whistled on street corners, barroom brawls, cotton fields. Yet, when we’re playing in some Amsterdam café or Den Helder club, I know he’s not yesterday’s man, but right there, on the spot, listening intently, interacting creatively and probably cooking up some mischief. “Something might jump at you out of the bushes”, I’ve heard Clarence say on various occasions. It struck me as characteristic. Was he referring to some old Mississippi bush devil? To the necessity for a sustained presence of mind while playing creative, improvised music? Or to a warrior-like preparedness for ambush? My guess is all three – and probably more. I have always considered it an honor playing with Clarence, who in earlier days shared the bandstand with the likes of Thelonious Monk and Woody Shaw – two of my favourite musicians and composers. Through Clarence, I have come to feel part of a historic continuum of musical presences and ideas. I would like to thank him for sharing his friendship and lineage with us. I’d also like to thank the other musicians who collaborated on this project. Thomas Winther Andersen, from Norway, is a band-leader and prize-winning composer in his own right. He contributed the ballad Four Lines to this album, a song he wrote for a close family friend who passed away some years ago. Timothy Segond von Banchet is a hard-swinging, feisty pianist from Amsterdam, whom we’ll be hearing from in coming years. I’d like to give a big up to Dirk Balthaus and Victor de Boo for making Departure so energetic and happening. (This song was previously released, but because it blended well with the current repertoire, I decided to include it on this album.) Una Bergin’s vocal rendering of the title track, Shadows, makes me fall in love with her and I guess that’s a good thing. Shangri-La features Eran Har Even, a gifted guitarist from Israel who synthesises the modern and the traditional into a highly-personal language. Keep an eye out for him! I’d also like to thank Markus Braun, Peter Brussee, Rutger Fuchs, Benno Glüsenkamp, Gabriël Kousbroek, Chris Weeda and the Hallo© Academy (Wim, Anna and students). Last but not least, I’d like to thank my mother. Olaf Zwetsloot, Amsterdam, February 2013.